Ever since its inception, hyperconvergence has taken off, and it’s no surprise as to why: Hyperconverged integrated systems (HCIS) allow businesses of all sizes to deploy networking, compute, storage, and server virtualization utilizing one solution. This type of infrastructure is cost-effective and makes it easy for IT personnel to scale and manage workloads and applications. According to Gartner, HCIS is the fastest-growing market for integrated systems and will generate $5 billion in revenue as well as capture 24 percent of the market by 2019. As more businesses continue to adopt HCIS, the need for an agile and robust backup solution that ensures rapid recovery of virtual environments becomes very important. Even though HCIS provides various benefits, it’s not foolproof. Systems can potentially go down, disaster can strike out of nowhere—or worse, systems can become infected with malicious malware. Businesses need to be able to recover as quickly as possible to ensure the least amount of downtime, which costs companies $700 billion a year. Downtime not only costs organizations in revenue, but it also includes lost employee productivity and the cost to fix the problem. We’re pleased to announce Barracuda Backup LiveBoot and Cloud LiveBoot 2.0. LiveBoot provides fast and easy recovery for on-premises VMware environments in cases where primary storage is lost or no longer available, while Cloud LiveBoot provides fast disaster recovery for both VMware and HyperV virtual machines in the Barracuda Cloud. If primary storage goes down, Barracuda Backup acts as storage and gets virtual machines up and running from a deduplicated state in minutes. 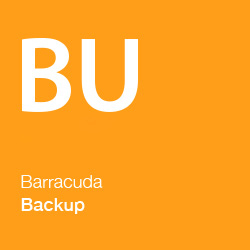 Additionally, if an on-site disaster occurs, Barracuda Backup can recover virtual machines via the Barracuda Cloud Storage. From there, users can gain remote access by assigning private or public addresses to devices. “The whole point of deploying a backup strategy is to make sure businesses are covered when things go wrong, and in today’s landscape – there are a lot of potential obstacles,” says Rod Mathews, senior vice president and general manager, data protection at Barracuda. This update comes on the heels of Barracuda Backup models becoming bigger, better, faster, stronger. The appliance refresh includes increased storage capacities—up to 100 percent in some models—as well as increased performance that allows faster offsite data replication and restores. LiveBoot and Cloud LiveBoot 2.0 complement Barracuda Backup’s latest updates by not only allowing businesses to recover their HCIS from disasters quickly, but also provides a platform for testing and sandboxing servers to confirm software upgrades or changes. LiveBoot comes at no additional cost to Barracuda Backup customers, while Cloud LiveBoot is available to Instant Replacement subscribers.